According to a CNN article, there have been 288 school shootings in the United States since 2009. This is large number that keeps growing. Although UMD has never had an active threat on campus, UMD police department is prepared and well trained for any possible circumstance, according to Sergeant Michael Brostrom. Sergeant Brostrom along with UMDPD’s other sergeant Chris Shovein have gone through intensive week long training programs at the Federal Law Enforcement Training Center. Their training was specialized on what has been learned since Columbine and new tactics to better respond to similar events. The week long trainings were instructor training programs, this means both UMDPD sergeants are capable of teaching these techniques to not only UMD police officers, but also local and statewide departments. “We feel that we are as prepared as we can be with our training here,” Brostrom said. A big training exercise was done last year at the Natural Resource Research Institute in Hermantown. UMDPD hosted a full scale active threat exercise including 60 volunteers and other local police departments. The drill included 32 public safety agencies in total, fire departments, dispatch, ambulances, and rescue squads. UMD’s active threat protocol is based off of the national model of “Run, Hide, Fight”. If ever placed in an active threat situation, the first course of action is to always get as far away form the threat as possible. “If that’s not an option, or maybe the person shooting is too close, running might not be a safe thing to do, in that case, the next step we would want you to take is to hide,” Brostrom said. An example suggested by Brostrom was if ever in the situation of being in a classroom and someone was shooting off a gun down the hallway, the best course of action would be to shut the door and lock it if possible. Shut the lights off and remain quiet. If the door cannot be locked, the next step would be to restrict access to the door any way possible. Place tables, chairs, desks anything possible in front of the door. The very last case scenario would be to fight back. At this point you would be fighting for your life and that means doing anything and everything you can do to keep yourself safe. 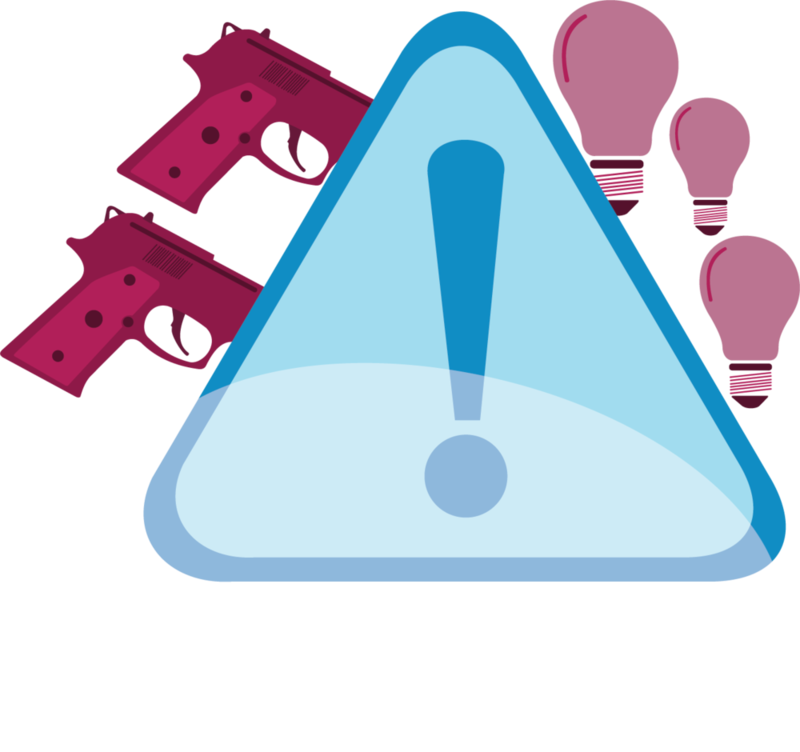 A big part of the active threat protocol is the usage of emergency messaging and notifying faculty, staff and students of what is happening on campus. Every first wednesday of the month, UMD’s first responders do a test of their emergency notification systems. This month, campus administration has decided to do a campus wide test. Campus wide tests usually happen once or twice a year, but this semester they will be adding additional notifications to the usual text and email alerts. According to Lynne Williams the Director of Marketing and Public Relations, administration will be sending test alerts to the digital signage found around campus as well as an alert box found at the top of UMD’s homepage with a link to an updated webpage. This new notification tool will allow students, parents and loved ones to receive update notifications the moment they are posted. Each update will be time stamped making it easier to find the most recent update. Although these emergency notifications and updates play a big role in the safety protocol they can take some time to get out. The emergency response team that sends out these notifications are assigned due to their position, such as public relations. The messages cannot be sent out until they are confirmed by authority. Even if someone on the emergency response team were to hear a rumor or see something on social media, a message cannot be sent out until they are given the right to. The first message is often very vague, because often the situation itself is vague or still unknown. The plan of action is to send out a message that informs recipients of the situation and its location, but further information often comes later. “We all know when we get that text that that is our call to come together,” Williams said. The most recent test of the emergency response team’s emergency messaging system was last April when Superior’s Husky Oil Refiner exploded. UMD was a possible evacuation site and the situation called on the emergency response team. With next Wednesday’s emergency notification test, Williams said the best thing students can do is to make sure that the school has the correct contact information in the system. If you need to update your contact information there will be a place to do so in the email sent out with the test alert. “We all have a role in being aware of our surroundings as well as thinking through ahead of time, ‘what would I do in this situation’,” said Williams. Here is a link to a short clip of the training exercise the UMDPD participated in last year up at the NRRI building. It is all of our jobs to take responsibility for our role in every situation, here is a video that helps explain the run, hide, fight procedure to know for any situation.